Welcome to our printing and converting floor. 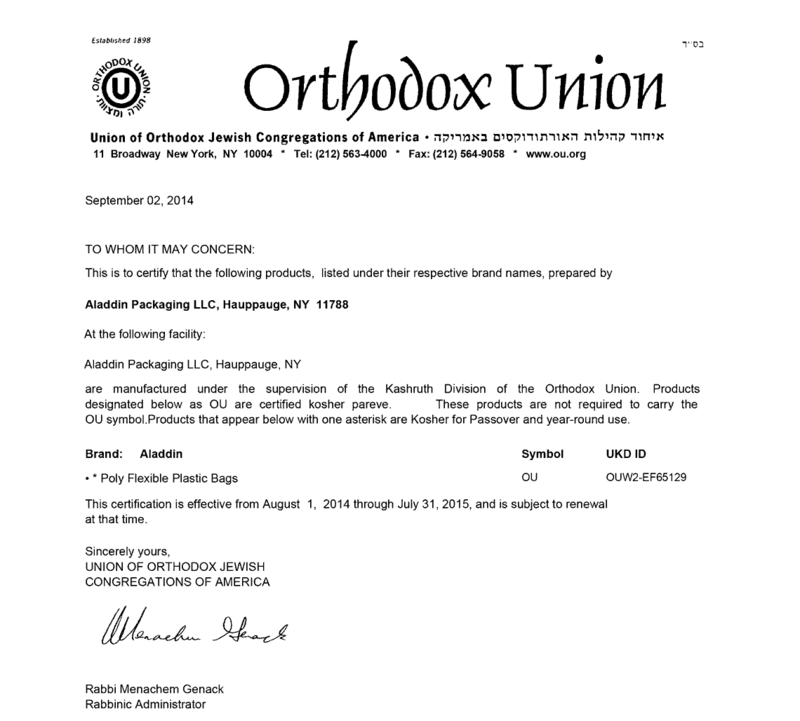 Here we manage every process involved in getting from endless rolls of plastic to beautiful, high-quality bags, pouches, wrappers and lidding products. This is where Aladdin's magic happens. This part of the process is where we decide how to take a blank sheet of substrate and turn it into a colorful, visual representation of our clients' brands and products. 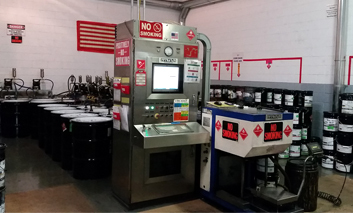 Advanced software systems work together with our ink formulation machines to yield an accurate color mix in every shade of the rainbow. 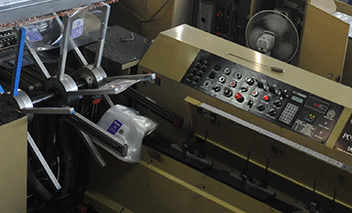 Precision speed-rollers feed plastics, papers or foils into the machine in perfect alignment. Precise servomotors (rather than gears) drive the press. 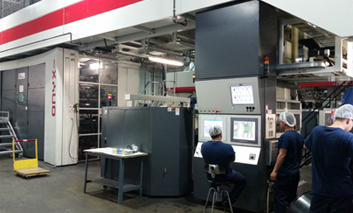 This allows the operator to store printing jobs and settings for easy retrieval, and also unwind and rewind the substrate, speeding up the printing and quality check processes. 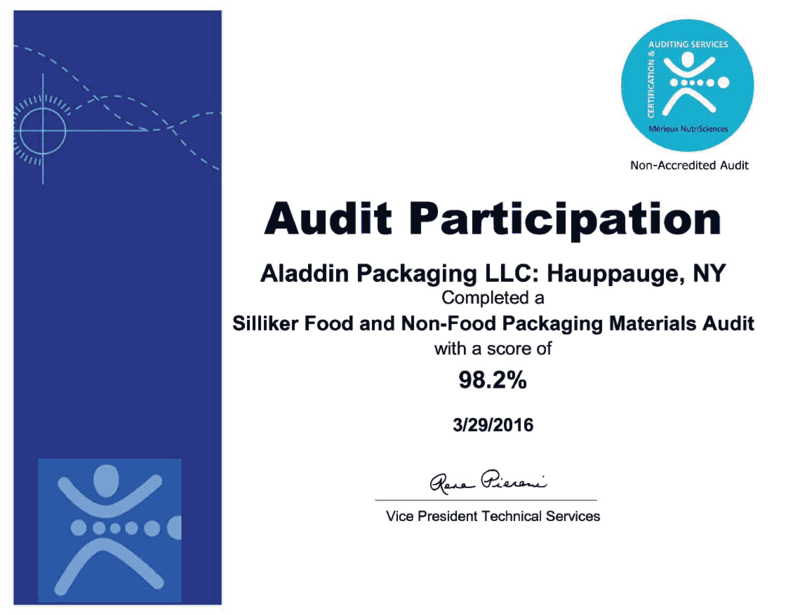 Aladdin Packaging works with both solvent and solventless laminators. 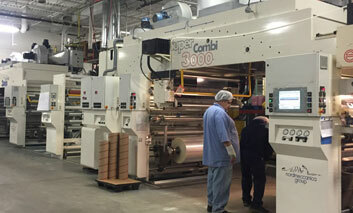 With these high-heat machines, three or more layers of poly, paper and foil are laminated together almost instantly. This results in flawlessly smooth, glossy products that are free of bubbles, warps or any other inconsistencies. The cold seal is a modern innovation that's better for the environment and offers strongly desired uses for the medical and dental industries. With this high-tech machine, the mixture of adhesive components and natural latex rubber (or synthetic rubber) is applied to very precise portions of the packaging materials, as outlined by the computer. 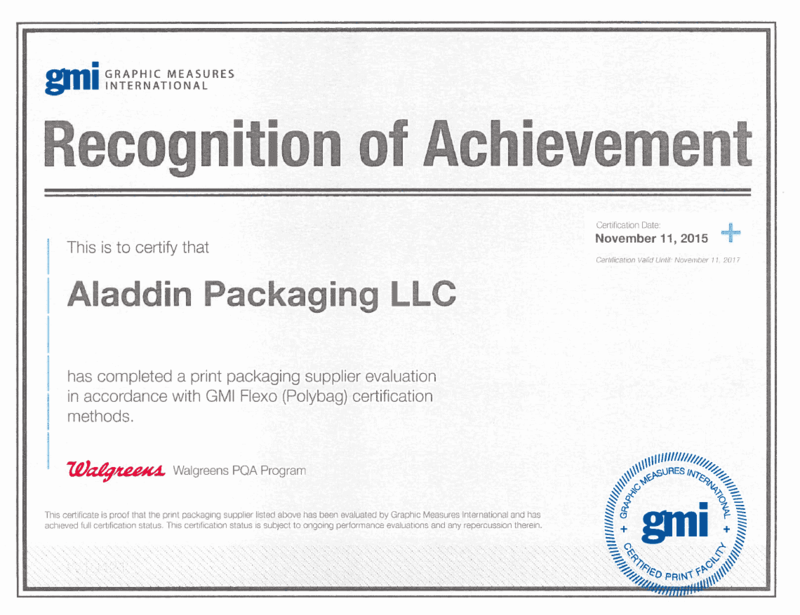 Aladdin packaging is a leading Flaxographics printer and converter, we are one the speediest converters in the United States. 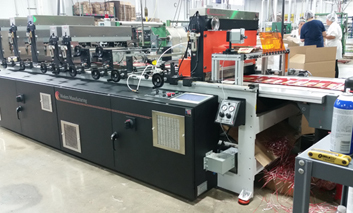 To start turning rolls of endless imprinted materials into custom sizes of bags, pouches, lids and wrappers, a feeder puts them through automatic slitters that can cut and slice hundreds of times per minute. 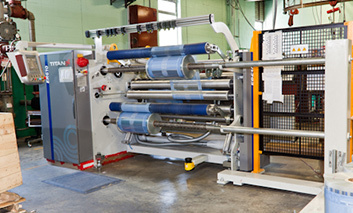 All our pouch varieties can be formed and finished with these complex machines. From Re-closeable Pouches to gusset bottom designs, our equipment forms, flattens, presses, welds and seals to produce products up to par with Aladdin's exacting standards. Every pouch – and every other product – we produce carries our promise of unwavering quality. That is the Aladdin Packaging seal of excellence. The bags come to a complete finish here. Elements like heat welding, force pressing and hole punching are done automatically at incredible speeds for turnaround times that can beat any set timetable. These advanced machines have multiple sections that can operate independently yet cohesively with one another.